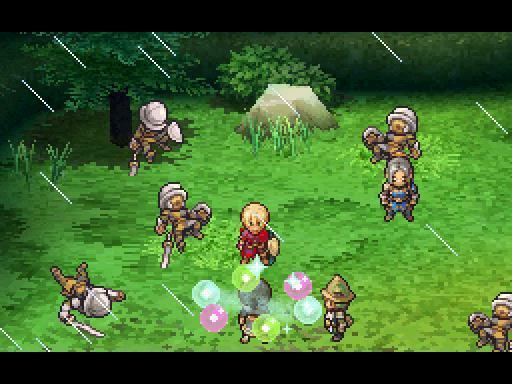 I’m taking a brief respite from my ramblings on Super Nintendo and PlayStation JRPGs to talk about a Nintendo DS JRPG… that might as well have come out on the Super Nintendo or the PlayStation. Had today’s Guess the Game selection been released during the 90s, chances are many would respect it as one of the all time greats. 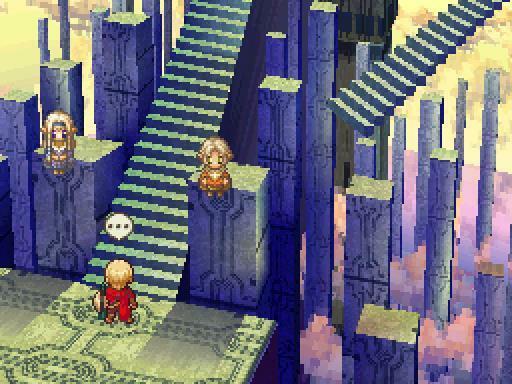 However, because it was released as a kind of throwback to the bygone age and saw limited distribution on a handheld, it’s now appreciated as a cult-classic that a good many people ought to try. Especially fans of JRPGs. If you are among this demographic in the gaming world, let me pose a simple question. 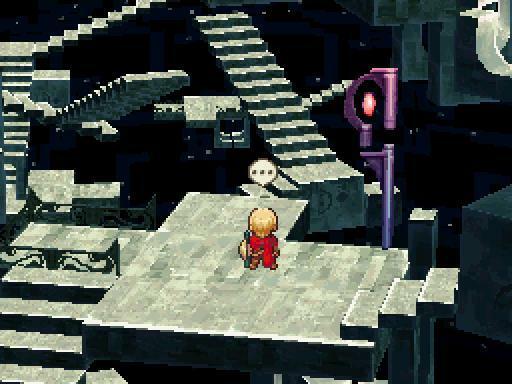 “What is the standard when it comes to games revolving around time travel?” Naturally, a good 90 to 95 percent would point to Chrono Trigger and nod in contemplation with the rest. 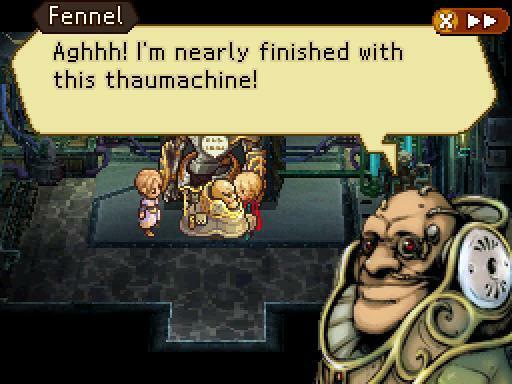 Maybe the remainder might pick a niche game on the PS Vita or PSP that I’ve never heard of, but the point is that this Guess the Game could take serious swings at Chrono Trigger’s legacy if it were given more respect. 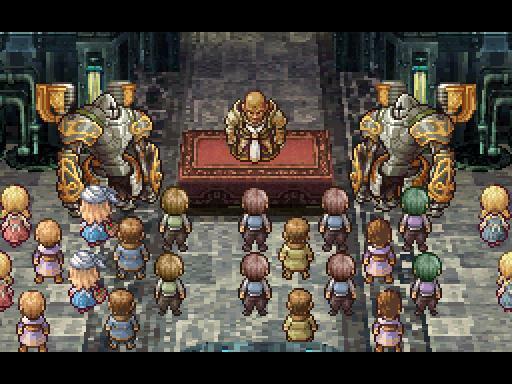 Is it as good of a game as Chrono Trigger? No, I wouldn’t say so. 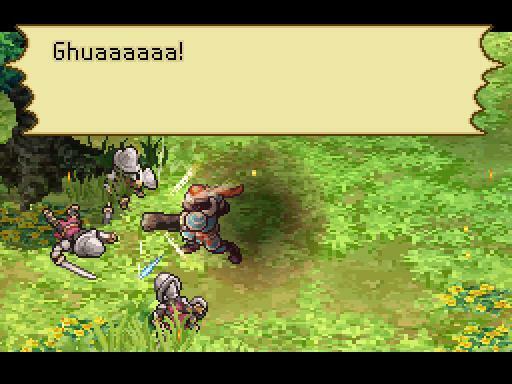 Chrono Trigger is far better paced than today’s game and stars a more lovable cast of characters. 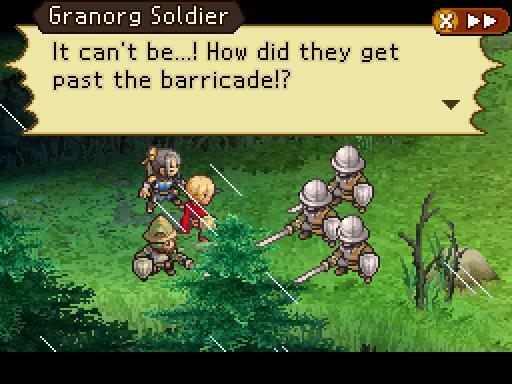 It’s also a shining beacon of “greatness” in that the developers achieved absolutely everything they were aiming for. 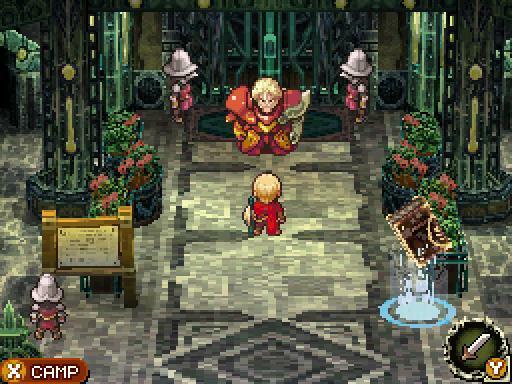 Today’s Guess the Game selection might have a deeper battle system, but it suffers from backtracking, repetitive cutscenes, and some of the problems that bog down modern JRPGs. However, on the time travel front, I would say that today’s Guess the Game is easily the better of the two. 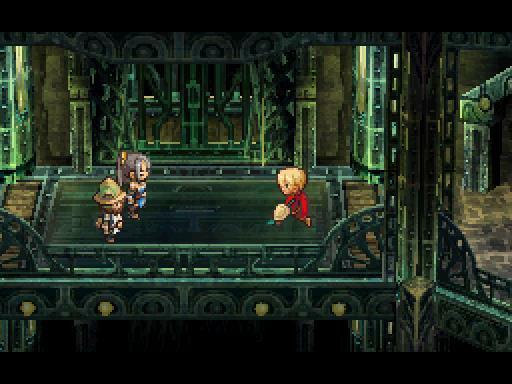 No offense to Chrono Trigger in any regard, of course, but its time travel elements were mostly a plot device designed to get characters between the different settings and crank out a memorable story. 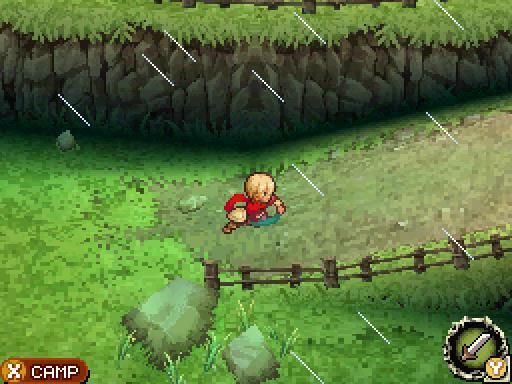 On the gameplay front, only the special treasure chests really found themselves affected by Crono and his friends leaping through time. 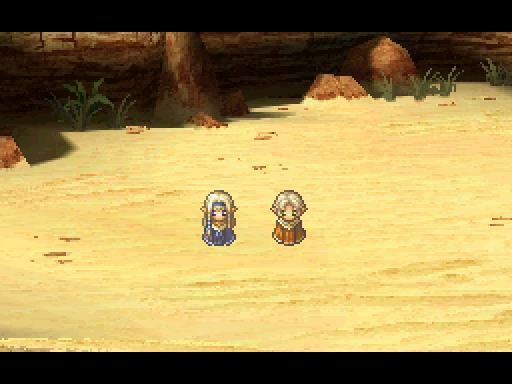 In today’s game, the “time traveling” element accounts for half of the gameplay itself. Decisions can lead to either a “Game Over” or an entirely new branch of plot. 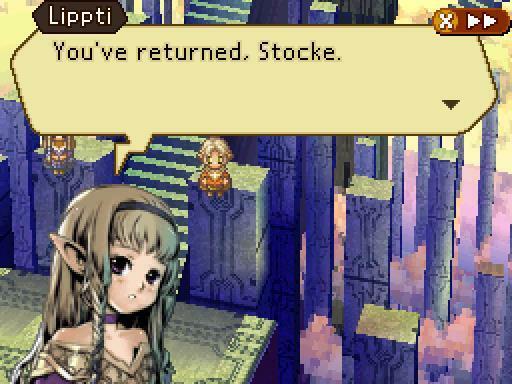 Completing the events in one branch might adversely affect the characters, treasures, or story in the other. A character might come back to life, a weapon might make itself available, and the whole purpose of the game is to tie the mysteries in every branching path together to piece together the final, correct storyline. 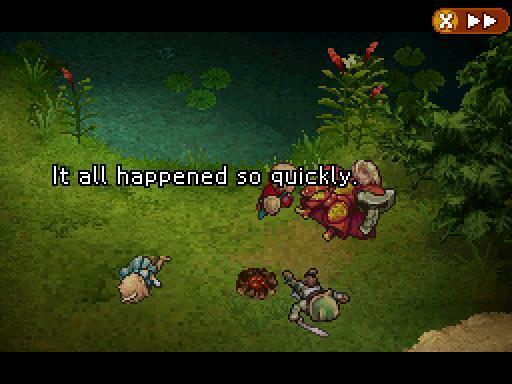 In Chrono Trigger, time travel is part of the plot and the plot alone. You go here, go here, jump in time here, and fight here. Perfectly fine for a Super Nintendo game, but not without its age attached. Here, it is deeply tied into the gameplay not unlike the Zero Time Dilemma or Virtue’s Last Reward. And even with the fascinating look at time travel, today’s Guess the Game still has other excellent elements piled onto it to make it an enjoyable title. For one, the story is very good. 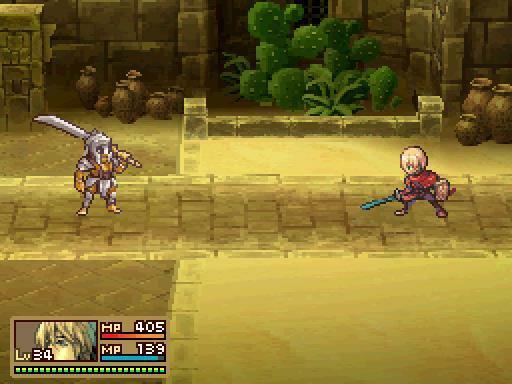 Players follow in the footsteps of Stocke, a soldier on the run from his empire or an assassin out to kill a rival princess, depending on the branching story you choose follow. He befriends two loyal cohorts named Raynie and Marco, and his adventures reveal to him a plot that could destroy the entire planet. Kingdoms are finding themselves torn apart by an ever encroaching desert, and only one with the power to alter time can possibly fix it. Defeating the evil empire is not enough for even humans can’t fight back the powers of nature… or can they? 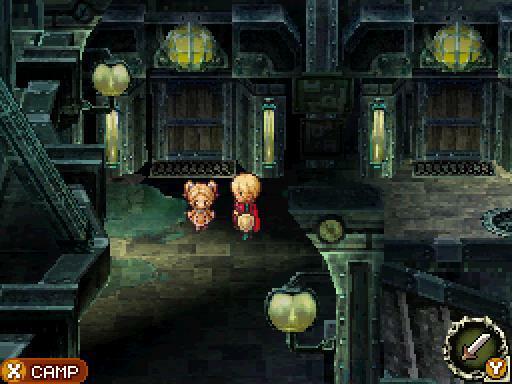 Again, I’m more privy to Chrono Trigger’s timeless storytelling, but the goods are all here for a dramatic espionage story with a lot of fun JRPG necessities, everything from magic pixie girls and confident princesses to giant apes and creepy twins. 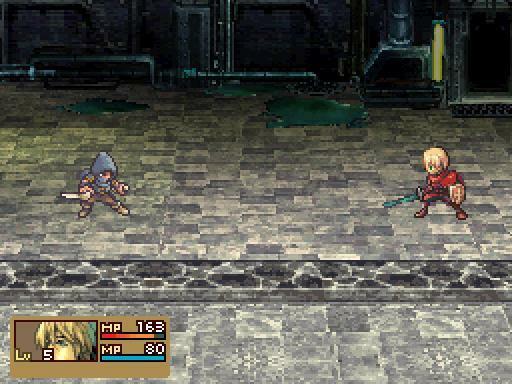 The battle system stands the test of time with a unique setup not many have tried before. 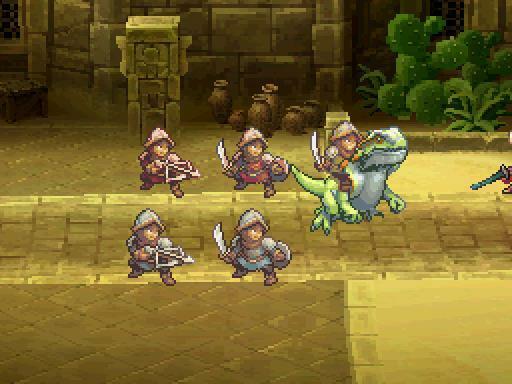 Here, our characters stand in a line and choose abilities from a menu. 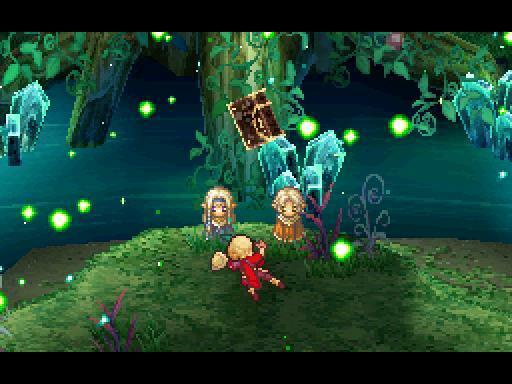 Attack, item, magic, it’s a familiar setup to the countless of other games you seen from the genre before. 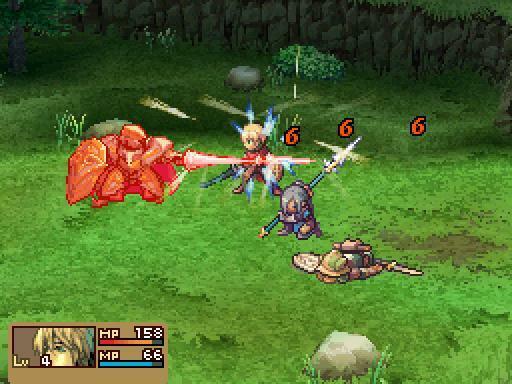 What makes it different is that enemies stand on a 3 x 3 grid, and they can be pushed around and positioned by the player through different techniques available to each character. 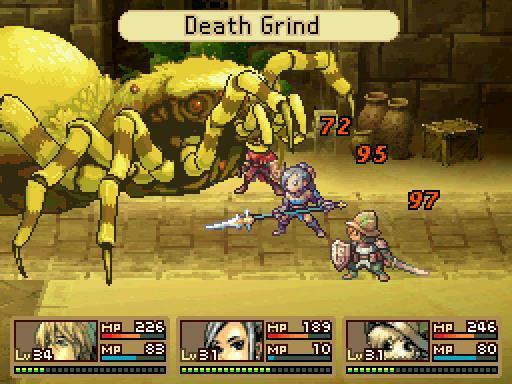 If possible, the ideal way to win is to have a single character push all of the enemies onto a single square, and then have the more powerful characters launch blistering attacks that nail all opponents at a single time. 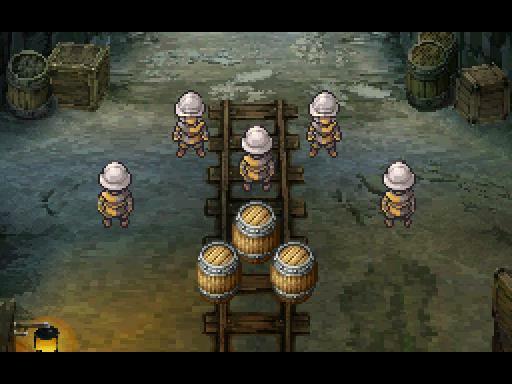 Of course, the developers find ways to shake up the formula before the game’s end. 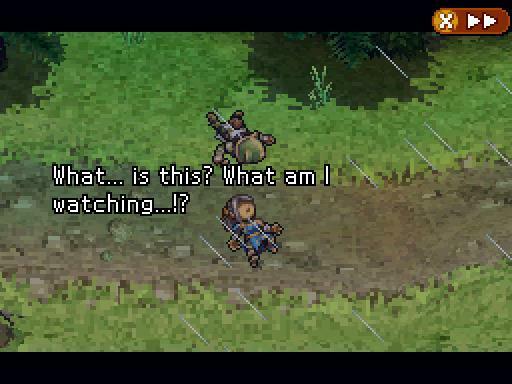 Raynie and Marco quickly find themselves obsolete in the face of characters who enter later in the game. 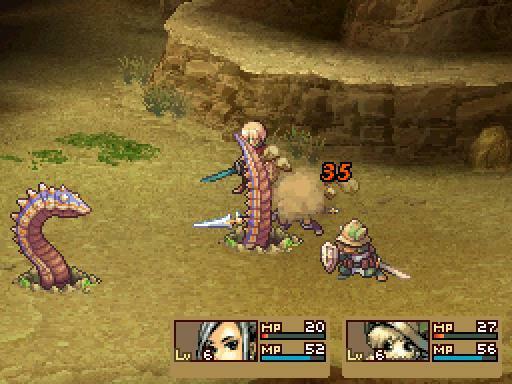 Enemies find ways to cancel movements or take advantage of being piled onto one another. 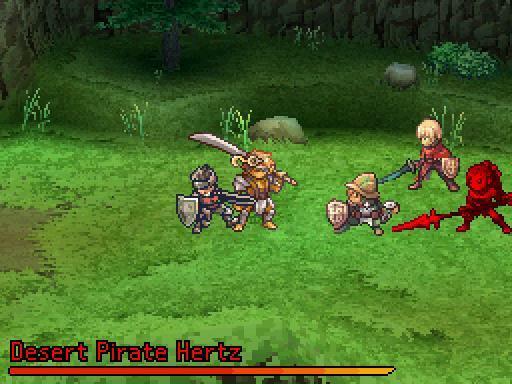 The battle system evolves along with the game, which is everything a player could hope for from a JRPG. 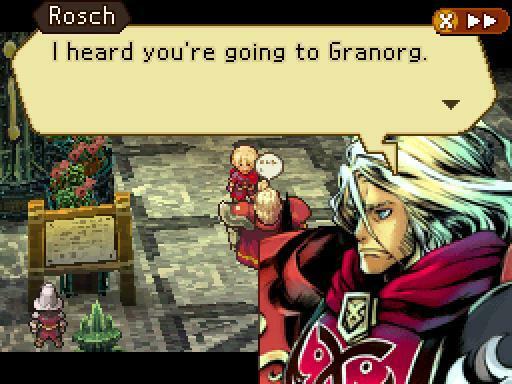 And, of course, this title stands out from the rest of the Nintendo DS’ niche RPG line-up because of the talent behind it. No, this isn’t some unknown team throwing together a forgettable experience. 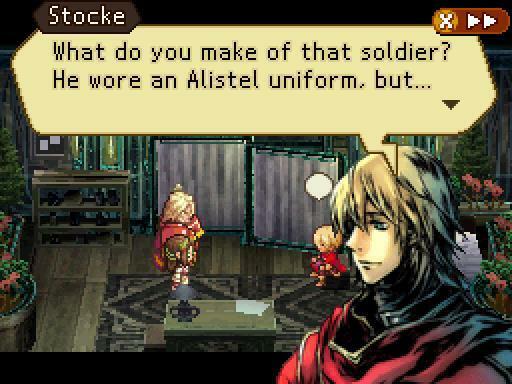 This was made by the same team at Atlus that makes the Persona games. The franchise’s influence here is quite obvious because this Guess the Game selection is able to pull so much content out of such a small setup. 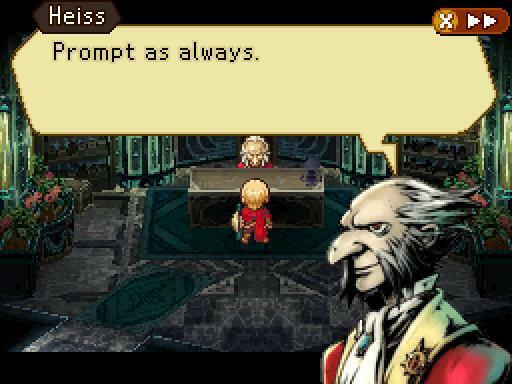 Atlus’ RPGs are famous for presenting a game that is easy to pick up and learn the basics, but the digging reveals that the mechanics go far deeper than the first five or ten hours go. Oh yea, bonus points for having legendary composer Yoko Shimomura behind it as well. It’s a shame not many have played this marvelous little title. It saw a limited run back in the day, and when many found out they had missed their chance to own it, Atlus set out to please everyone by sending out a second run. Where it landed after that I had no idea. 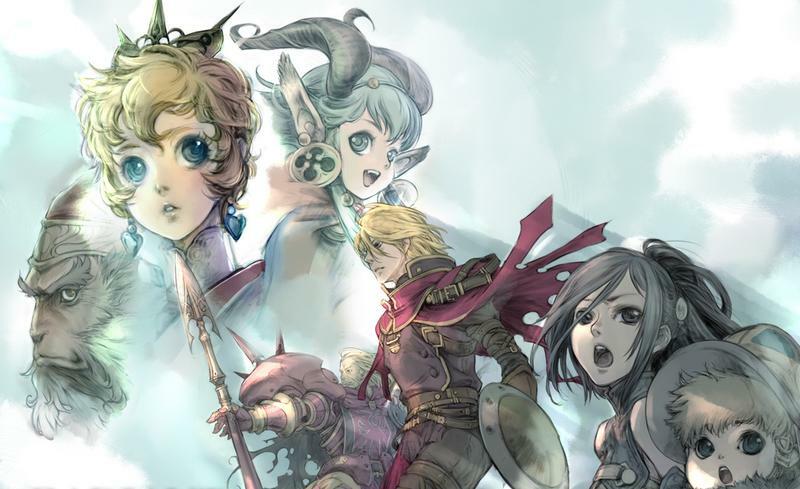 Nintendo hasn’t put it on the Wii U Virtual Console line-up yet, where it would easily be one of the console’s best JRPGs, and Atlus seems to have all but forgotten about it. A digital solution for this game would be ideal for all, especially for those who missed it the first two times. Now, what is it?